Used 2016 Ford F-150 XLT SuperCrew 5.5-ft. 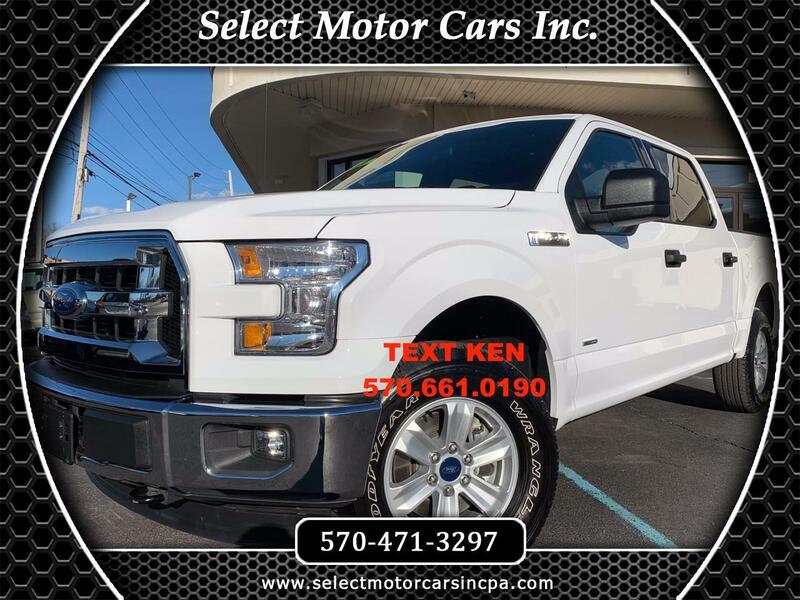 Bed 4WD for Sale in Moosic PA 18507 Select Motor Cars Inc.
1 Owner 2016 Ford F-150 SuperCrew XLT 4X4 in gorgeous Oxford White exterior with Gray interior. Features include powerful 2.7L V6 EcoBoost twin turbocharged engine producing 325HP,automatic transmission,4 wheel drive,XLT trim package, fog lamps, keyless entry, dual power heated mirrors, door keypad entry, chrome bumpers,17" wheels, front tow hooks, privacy tint,bedliner,lumbar support, power windows, power door locks, air conditioning, auto headlamps, cargo lamp, steering wheel controls, steering wheel tilt, cruise control, on board computer, premium sound system,cd,am/fm radio,sirius satellite radio, bluetooth connectivity, bluetooth streaming,microsoft sync, eco start/stop,traction control, climate control, overhead console,usb port,auxiliary input,12v outlet,center console,cupholders,amongst many other great features.